The Divisional Court has thrown out an appeal by a solicitor disciplined after representing a client in court when he was not allowed to – and claimed he was instead acting as a McKenzie Friend and so beyond the regulator’s reach. Instead, it more than doubled the fine imposed by the Solicitors Disciplinary Tribunal after a cross-appeal by the Solicitors Regulation Authority (SRA). In the wake of being made bankrupt in 2011, Terrence Ballard’s practising certificate for 2012/2013 was granted by the SRA subject to the condition that he was “not a sole practitioner or sole director of a recognised body”. The main issue in the appeal was whether the tribunal erred in finding that he breached this condition when he advised a client, DE, on a criminal matter. In 2013 Mr Ballard was employed by CR Burton & Co, but was allowed to work for third parties, including other firms, provided he did not use the firm’s name, reputation, banking facilities or insurance when doing so. 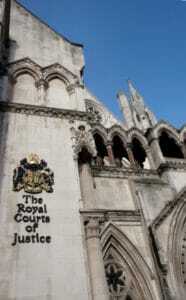 He agreed to act privately for DE, who understood that he was a solicitor, for a fee of £750. He claimed he was acting as a McKenzie Friend or otherwise an exempt person under the Legal Services Act 2007. The Divisional Court said Mr Ballard attended the magistrates’ court and was recorded as ‘attending solicitor’ in the court’s memorandum of entry – Mr Ballard said this was the result of an error or a misunderstanding by the usher. He then stopped acting for DE after a dispute over the fee, leading to a complaint to the Legal Ombudsman, who found the legal service provided to DE “woefully inadequate” and directed Mr Ballard to repay the £750 and to pay DE £250 compensation for distress and inconvenience. Mr Ballard refused to pay on the ground that he had not been acting in the capacity of a solicitor and the ombudsman had no jurisdiction. In later enforcement proceedings, the ombudsman secured a suspended committal order against Mr Ballard. Last May, the Solicitors Disciplinary Tribunal found that Mr Ballard held himself out as a solicitor at the court hearing, and was in breach of the condition because he was operating as a sole practitioner. His failure to comply with the ombudsman was also a breach of the SRA Handbook. It imposed a fine of £2,500, and ordered Mr Ballard to pay £18,000 in costs. Lord Justice Beaton, giving the judgment of the Divisional Court, rejected Mr Ballard’s claims that there had been errors of law, serious procedural irregularities, perverse findings of fact, and bias. The court dismissed Mr Ballard’s suggestion that the tribunal was hostile to his efforts “to provide services more cheaply than solicitors’ firms in an innovative way”. Beaton LJ said the £2,500 fine was “clearly inappropriate” because the tribunal had failed to take into account the different nature of the offences. He substituted it with a £6,000 fine.